The work of Winsted artist Scott Lincoln has been on display at the Burlington, Connecticut library during the month of February. 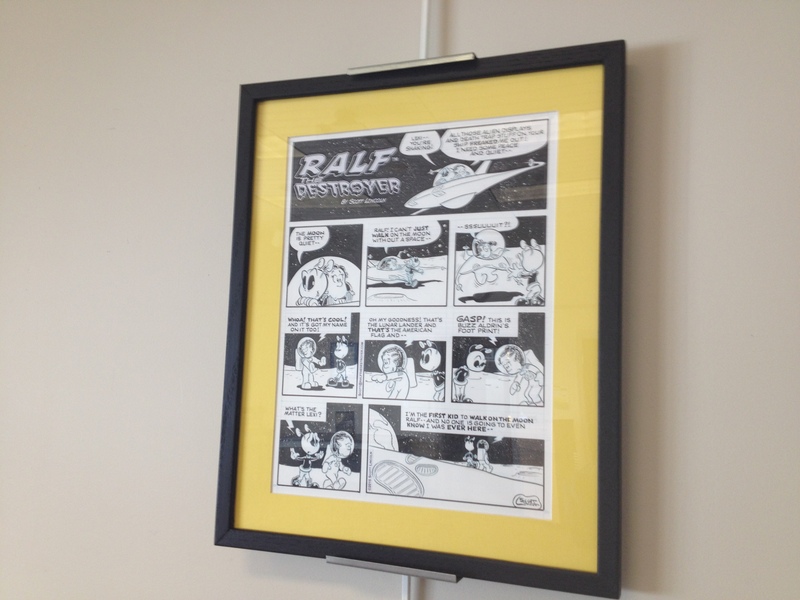 The wonderful original artwork features his Ralf the Destroyer comic strip, both the Sunday strips and the daily strips. Lincoln’s work recalls to mind the golden age of the classic comic strips. Read all about Scott Lincoln in the Nutmeg Chatter interview HERE! LIKE Ralf the Destroyer on facebook HERE! 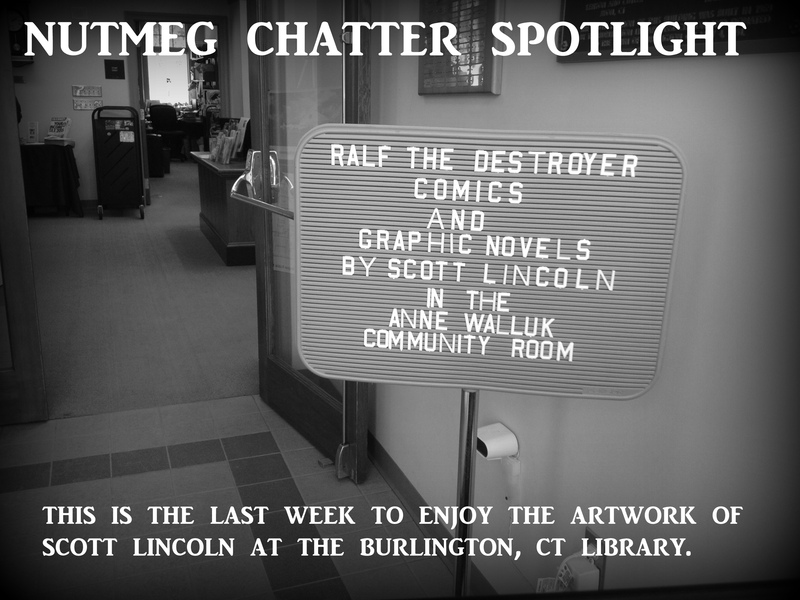 Then get to the Burlington, CT library and enjoy his artwork! No doubt Lincoln’s work will find a greater and greater audience throughout 2015 and we hope to document that success in future articles in Nutmeg Chatter! To support Lincoln’s patreon page, check it out HERE!